If you’re being honest with yourself: do you think that your website is put together around how you think it should look and function, or around what your customers want and need? You may think it’s the latter, but make sure to think critically about what your potential clients would be looking for on your site in order to maximize your customer engagement and satisfaction. “88% of marketers say they’ve seen a measurable improvement in their businesses after implementing customer personalization tactics.” It’s many fewer, though, who seem to have an idea of how to go about this process in order to please your visitors and to boost your sales. To begin with, if you’re utilizing email marketing at all, then consider creating segmented lists. Email marketing is great on its own, but it works even more effectively if you send variations of your original email to different groups of people depending on their wants/needs or personas. If you’re at all a national brand, then you don’t want to send the same kind of information to someone on the East Coast versus the West Coast. Even within the same state, people of different ages, genders, or interests, among other things, will be more engaged if you’re sending content that’s relevant to them. 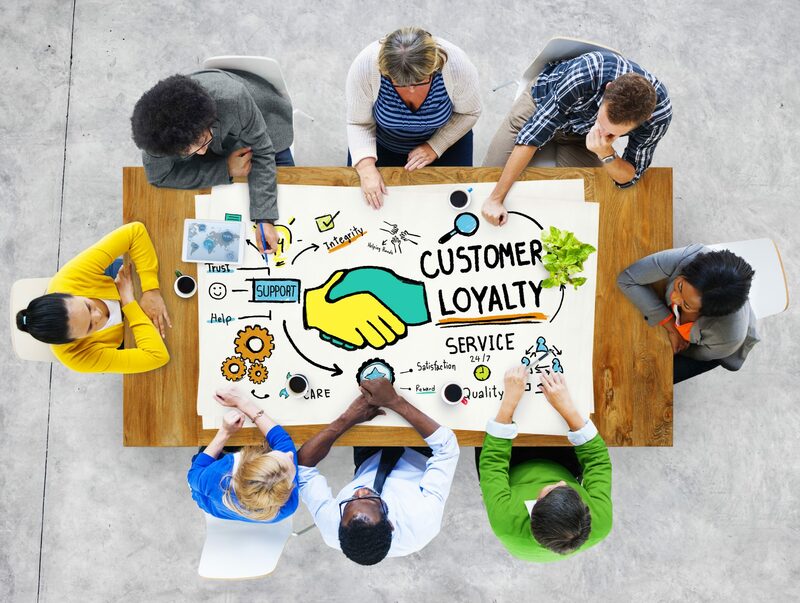 Another way to boost your customer engagement is by creating a loyalty program to reward those who are repeat buyers. All merchants, from huge department store chains to a single food truck, can easily offer something like a “punch card” (virtual or physical) to encourage people to come back again and again. Incentivizing people to return and spend more money with you via the promise of future rewards has good returns and will foster a sense of customer loyalty. Finally, if you can create the feeling of a “personal relationship” with visitors – even if you can’t really build a rapport with each and every person – you’ll do a lot of good for your business. Some of this comes through in the way that you “talk” to the customer via your content writing. Whether it’s just site text, blogs, or email content, make sure that you have a touch of warmth and familiarity. Don’t write with slang or improper grammar, but do use a friendly tone. First-person is actually a great way to accomplish this since it automatically sounds more personal. If you need some help trying to personalize your site in order to increase customer engagement, then get in touch with Eyler Creative. We will work with you to make sure that your desktop site is mobile-friendly, to help you to design and develop a new website, and, if desired, develop and execute a marketing strategy tailored specifically to your business’s needs.